This article was written by Hope Leman. Consumer health sites are all over the Web and more and more of the content they are producing is working its way into search engine results on health-related topics. Some of this material is solid enough, but much is simply banter or commiseration of one heathcare consumer to another. Knowing ahead of time about these sites can save power searchers in health matters time and prevent ill-considered clicking on what is almost certainly likely to be fluff or outright rubbish. 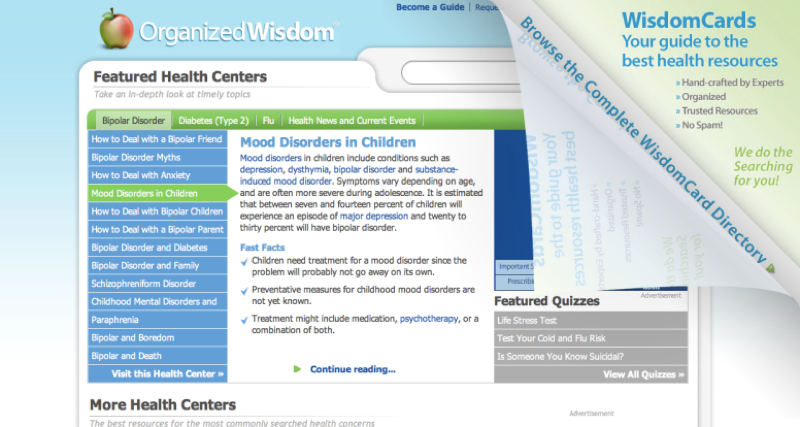 OrganizedWisdom is one such consumer health site and indeed if you go by its notable presence at conferences such as Health 2.0, it is a market leader in this space. It certainly excels at parlaying a bargain basement marketing gimmick, its WisdomCards, into a reputation for business savvy. Now, I don’t really get the appeal of the whole WisdomCard thing. Basically, each WisdomCard is simply a page of results organized in much the same way as you might find on MedlinePlus, say, or RightHealth. Nevertheless, given that credibility is a fairly basic component of consumer health searching on the Web, it is fairly amazing that OrganizedWisdom has received such positive coverage in the business press (the rah-rah, go team buzz it generates in such venues as the Health 2.0 conference is less surprising). I am not against consumer health sites. 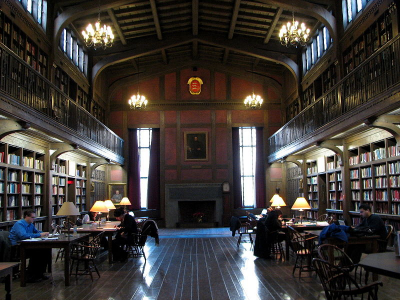 Indeed, I get rather impatient with the persnickety attitude some in the medical library community take towards them. But it is unnerving to think that the “serial entrepreneurs” (as founders Steven Krein and Unity Stoakes style themselves) can generate such hype on the basis of some quite sloppy, not ready for prime time stuff as is on OrganizedWisdom. Call in a librarian, guys, to inject some order into the currently messy state of affairs in your WisdomCard world. Misspellings or poor grammar on application. Incorrect answers on Open Book Test. Applicant did not provide full name, address and telephone information which we need for payment verification. Applicant does not live in the United States (sorry, we can only accept U.S. applicants). Although the results on the WisdomCards are acceptable, they are not noticeably better in terms of links or richness of multimedia content than you would find on RightHealth and certainly lack the authoritativeness of MedlinePlus. Additionally, the web site has has navigation problems. 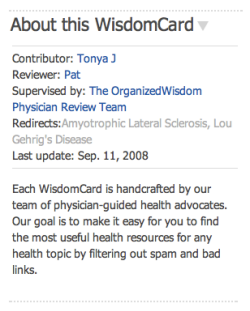 For instance, it not always clear when you are in a WisdomCard nor how to get to one, except by browsing through an alphabetical list, and even that is not reliable as there seemed to be a WisdomCard for the man Lou Gehrig but not for the disease named after him, but the biographical entry does not appear to be in the alphabetical list and so on. All in all, much ado about very little in the case of OrganizedWisdom. Additional health search resources are listed in the Highlight HEALTH Web Directory. About the author: Hope Leman writes about Health 2.0 and the e-patient movement at Significant Science. She is also a writer for AltSearchEngines, which covers hundreds of alternative / niche search engines. Hope is a research information technologist for a health network in Oregon and is also Web administrator of the grants and scholarship listing service ScanGrants.